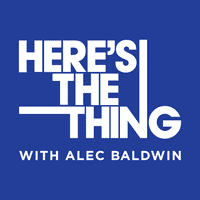 Alec Baldwin: I’m Alec Baldwin and you’re listening to Here’s The Thing from WNYC. Ladies and gentlemen, the President of the United States. Alec Baldwin: That’s Fred Armisen on Saturday Night Live, adding to the show’s distinctive line of oddly perfect presidential impressions that started with Chevy Chase. Now there is Fred, who also plays important icons such as Larry King, Mahmoud Ahmadinejad, Rupert Murdoch and Prince. Fred Armisen grew up in Valley Stream, Long Island, with a Venezuelan mother and a German father. Fred Armisen: My mom really loved Saturday Night Live. Fred Armisen: She loved it. She – I remember her talking about Chevy Chase, and she would say like, 'Oh, Chevy Chase. He’s so funny. You just look at his face and you want to laugh.' [Alec laughs] And that made a huge impression on me. And even as a kid I thought, 'Yeah, what is that?' Like, a guy who, just from looking at him, right away, you know, it was totally true. Alec Baldwin: He does nothing and you burst out laughing. Alec Baldwin: Armisen is also co-creator of Portlandia, a playfully subversive sketch comedy show on IFC in which he costars with the musician Carrie Brownstein. Portlandia, which he produces while SNL is on hiatus, recently won a Peabody Award. Fred Armisen is part of the American comedy landscape, but he took an unusual path to get there. For 10 years he was a punk rock drummer in a band called Trenchmouth. Fred Armisen: I worked so hard on that band. It was like an obsession for me, but it was like I just worked every day. We were in the van, we toured, toured, toured, toured. Fred Armisen: Booking places, booking, booking, booking. Alec Baldwin: And just trying to get slots in clubs over what area, just the general? Fred Armisen: The whole United States and Canada. Alec Baldwin: And you were off-loading and reloading your own equipment. Alec Baldwin: You were your own roadies. Alec Baldwin: The same band. Alec Baldwin: For 10 years. Fred Armisen: ’88 to – I’d say maybe nine years. Alec Baldwin: Was it successful? Fred Armisen: It depends how you look at it. Alec Baldwin: That’s what I’m saying. I want to know your definition – by your definition. Fred Armisen: My definition, I had success in getting - becoming closer with my friends. I had success in playing the drums. I played a lot of drums for a long time. Alec Baldwin: Yeah. You enjoyed yourself. Fred Armisen: Enjoyed myself. Traveled the country every year. Alec Baldwin: Drank a lot? Fred Armisen: I’m not much of a drinker. Played in Europe, played in the States. So absolutely, all that stuff was like that’s a success. Was it what I wanted? I wanted much more. Alec Baldwin: Why, why, why? Fred Armisen: Because I wanted to be as big – I remember – this is gonna sound – I’ll just be honest about what I wanted, but I wanted to be as big s the Red Hot Chili Peppers. So I was like, God, they’re huge. They’re huge. We can do it. So because we never attained that, and I would see bands from Chicago kind of swoop right by us, I saw it as not a success and that’s what kind of got me into doing comedy. Alec Baldwin: And you were how old? Alec Baldwin: Yeah. You’d done that. Fred Armisen: Yeah. It’s fine for when you’re in your 20’s. It’s great. We slept on floors, shared motel rooms, shared – really, like, the worst kinds of places you can imagine, you know. Alec Baldwin: Yeah, but stuck together. Alec Baldwin: Describe Trenchmouth’s music. Who wrote the songs? Fred Armisen: We all did together. Alec Baldwin: You all did. Fred Armisen: Yeah. It’s kinda like we had band practice every - whatever, three times a week or something, twice a week. And you just sit in a room and you’re like, 'I have this one part' and 'I have this other part' and we just put them all together. But it was very frenetic and loud and percussive. And it was a cacophony of just like noise. I was a little bit of a ham, so like I really wanted to play a lot of drums, like Keith Moon style, you know. Alec Baldwin: And you still play. Fred Armisen: I do. I do. I love the drums. Alec Baldwin: Did you ever get invited to come play with somebody who was famous? Fred Armisen: It depends on what you consider famous. For me, it was The Bangles asked me to play with them recently. Alec Baldwin: Did you enjoy it? Fred Armisen: I loved it. I loved it. Alec Baldwin: So you’re really two people. There’s you, the musical you. Alec Baldwin: And you don’t want to let that die and you still play every now and then. Alec Baldwin: Do you still have just a drum set? Fred Armisen: Yeah, but I don’t do anything – like I don’t fancy myself like 'Hey, I’m still making music.' Like I don’t – I won’t like put out like, you know, original songs and like that, no one needs to hear. You know, I’m grateful to be a comedian. I’m not like a struggling anything. But for fun, I will go and play music. Alec Baldwin: In 1998, Armisen went with his band to Austin, Texas for the South by Southwest music festival. Along with his drums he brought a video camera. Alec Baldwin: And you’d never done anything like that before. Alec Baldwin: You’re down there and the whole – the whole experience down there was a musical one, but you start doing funny stuff. Fred Armisen: Yeah. And I don’t even know why I did it. You know, I was just like – I just thought it would be a fun thing to do. A friend of mine edited it together and that tape – this is 1998 – sort of made the rounds. They wrote about it in this local Chicago paper and then I showed it at a club there that I used to play, in Trenchmouth, at this club. As many people turned out for that as with the band. Alec Baldwin: Did everybody in Trenchmouth get really sad then? Did they know you were going to go? Fred Armisen: Maybe, but they’re my friends, so I think based – and you know they kept on going with another band. Alec Baldwin: I called all of them and they said they hate you and they’ll never forgive you. Fred Armisen: Aw, damn it. Fred Armisen: But hatred equals love. Alec Baldwin: Yeah, it’s the flip side. Fred Armisen: But no, it’s a – it’s still an emotion. Alec Baldwin: It’s still a warm emotion. Fred Armisen: They’re not ignoring me. [Laughter] I think we were already broken up or breaking up, so it was a very natural progression. At the time I was playing drums for Blue Man Group in Chicago. Alec Baldwin: Now that’s doing the same thing every night, isn’t it? Alec Baldwin: That’s a show. Alec Baldwin: How’d that grab you? Fred Armisen: I learned a lot. Fred Armisen: I learned a lot from that show. Because – are you familiar with the show? Alec Baldwin: It’s been playing down on Lafayette Street for, like, 900 years. Fred Armisen: Yeah, pure entertainment. You know, I’m up there in this sort of – the drums are above the stage and you can kind of look down at the audience. And I learned that audiences just want to be entertained. Fred Armisen: You don’t have to over think anything. If you’re entertaining enough, they’re there. They want something to do at night. Alec Baldwin: How long did you do that? Fred Armisen: Yeah. It’s the first time I got a paycheck for playing the drums. And I – to me it was a million dollars. Alec Baldwin: And the last. Fred Armisen: And the last, yes absolutely. After that, comedy. So you’re – yeah, that’s the last. Yeah. Alec Baldwin: What did you learn from Blue Man? Fred Armisen: Um, simplicity. To not over think ideas. Speed. They change from one bit, as it were, to the next very quickly. I think reinvention a little bit. They would keep sort of renewing the show a little bit just to keep it lively. That – that is what I came away with the most. That audiences want to be entertained. Alec Baldwin: And then what happens after that? Alec Baldwin: Doing comedy where? Fred Armisen: From those videos that I was telling you about. I started traveling the country showing it in L.A., San Francisco, New York. Alec Baldwin: So you made it into a standup act. Fred Armisen: Kind of. I would just – you know, they’d write something in the paper and people came out in all these cities. And then I went to L.A. and did it. Alec Baldwin: You played clubs. Alec Baldwin: But there was no music. Fred Armisen: No music. Just showed this video and talked a little bit and that’s it. Alec Baldwin: How long were you on stage? Fred Armisen: I mean a total of like half an hour or 40 minutes or something. Fred Armisen: Really short, just a little event. Alec Baldwin: And people dug it. Fred Armisen: Absolutely. It’s pre-Internet, so showing a video was more of an event. Fred Armisen: And then someone from HBO was on one of the shows and then I started doing these videos for HBO. They had, like, these other channels like HBO Zone, Latina – so there’s one called HBO Zone which was their sort of like alternative channel. And then I did these little interstitial pieces for them. Alec Baldwin: Who hired you to do that? Fred Armisen: This woman, Elaine Brown. Alec Baldwin: She had seen you. She’d found you. Fred Armisen: It was through someone else who worked for a show called Reverb, which is a rock show on HBO. So it was sort of indirect. Fred Armisen: I did some interviews for them, and then I started making enough money that I didn’t have to live in Chicago any more. I was like I can – I always wanted to live in L.A. I moved to L.A. and then I started doing standup, like, characters and stuff on stage. Fred Armisen: There’s this one club that I loved called Largo. And people like David Cross and Bob Odenkirk and Mary Lynn Rajskub would perform there. And I just wanted to do the same thing, so I just started doing some standup there as different characters. Alec Baldwin: And so now are you in the full world of sitting down and writing for those shows? You’re sitting down doing a lot of writing? Fred Armisen: Then it’s like yes. No, I did all that for sure. I moved to L.A. and I just wanted to fit in, you know? I was on my own and I just wanted to perform there and I would just do different characters. Alec Baldwin: Were all of your friends back in Chicago? Alec Baldwin: Did you make all new friends right away? Did you fall into the comedy world? Alec Baldwin: And you were open to it. Alec Baldwin: And who became your pals there in L.A.? Fred Armisen: Paul F. Tompkins. Bob Odenkirk really helped me out a lot. From doing standup there, he had a pilot for a show called Next!, which had different characters and it was a sort of variety show. He got me onto the cast for that. And from that is where I had, like, all the tape to submit to SNL. Fred Armisen: I had enough tape to submit to SNL. My agent and manager sent it to them and then I was on the cast in 2002. Alec Baldwin: So you show up to New York to do the show. Fred Armisen: I flew in to do the auditions. You know, I was flipping out that I even got to do the auditions at all. Alec Baldwin: Right. That’s a big thing. Fred Armisen: Yeah, I mean I met Tina Fey for the first time, Lorne and I was flipped out that I was doing it at all. Alec Baldwin: Tina was the head writer then? Fred Armisen: I believe so. I think her and Dennis McNicholas. I couldn’t even believe I was in that studio. I – yeah, it was – I’m still blown away by it. Alec Baldwin: And then when you started, you were a featured player. Alec Baldwin: And then how many years did you do that before you joined the cast? Fred Armisen: That was like two years. It was Will Forte and I.
Alec Baldwin: And was it frustrating to be a featured player, because again, who wasn’t? Alec Baldwin: A lot of people on the show don’t sense that. They leave and they don’t realize how good they’ve had it. Alec Baldwin: Yeah. It’s gonna be one of them. You know, you ‘re not gonna have that much freedom and that much variety. I always tell people don’t leave the show and become the thing you made fun of on the show. Alec Baldwin: You know, that’s a real trap because you’re going to go out there and do other jobs. Alec Baldwin: One of the greatest risks in my mind is that people will characterize you. Alec Baldwin: I mean I can see you doing a movie where you’re with a really smart cast and a smart director and you like lock everybody in the gymnasium and burn the gymnasium down to the ground. It could go either way, don’t you think? Fred Armisen: I hope so. Alec Baldwin: Do you want to do straight acting? Fred Armisen: That’s tricky. If there’s a way to do it. It’s tricky because I don’t want to look like I’m unhappy with comedy. I don’t want to go out there and say to, for lack of a better word, an audience like 'Hey, this is what I really do.' However, I think these days there are roles that are both comedic and dramatic. I like that that line is becoming blurry. So my answer is kind of, like, I think there’s a way that Peter Sellers did it, right? Was it comedy? Was it not comedy? Somewhere in the middle. Alec Baldwin: But he occupies a very, very distinct place. You have comic actors who’ve made their reputations in comedic roles, who’ve tried to go over into dramatic films and it’s worked to some degree – or has it worked, Billy Crystal and Robin Williams and so forth. And I think you have a real opportunity, and it’s never more vivid than it is in Portlandia, that you could go both ways into the comic and the dramatic. Do you feel that way? Fred Armisen: Yes, because when we do the show, when we write the show, we don’t always think about like what’s the funniest thing. Fred Armisen: Like what seems interesting to us. What’s going to look nice? Alec Baldwin: And if funny comes, it comes. Fred Armisen: Great. If it’s not quite comedy, that’s okay. Like that’s - it’s something else in between. 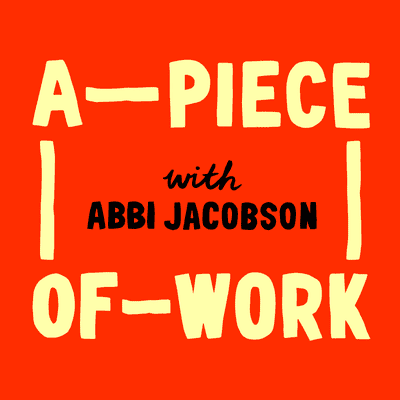 Alec Baldwin: I think everybody who would listen to this podcast knows Carrie Brownstein from the show, but did you know Carrie – when? When did you meet her? Alec Baldwin: So you already – so you’d just started the feature-playing bit of the contract. Fred Armisen: Yeah, but I knew the drummer in her band, Janet, in 1997 or 1998. Alec Baldwin: And Carrie lives in Portland or L.A.? Alec Baldwin: That happens. And she knew who you were from the TV show? Fred Armisen: Yeah, fully. And it just worked out. Alec Baldwin: And how soon after that – I mean what was the relationship like between that and when you started Portlandia, which is only how many years old now? Fred Armisen: Portlandia is – we’re going on our third season. Alec Baldwin: You started hatching it four years ago let’s say. Fred Armisen: Further back than that. We had a Web site where we’d make little videos. 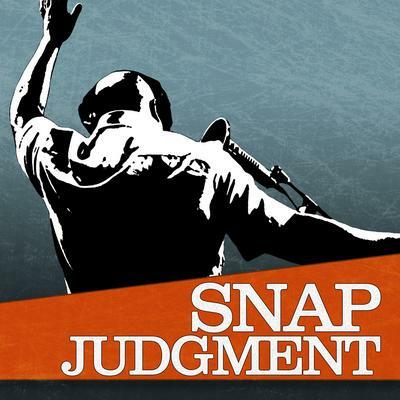 Alec Baldwin: Right, oh so the birth of that was this video thing as well. Alec Baldwin: Who came up with that name? Alec Baldwin: You could erase it if you didn’t like it. Fred Armisen: Yeah. For no reason, let’s just come up with characters, let’s make these tapes and then we did and then we had just all these videos on this Web site. Alec Baldwin: I remember reading that you did about a dozen of them, correct? Fred Armisen: Yeah, that’s about right. And then, then we just had enough to pitch a TV show. Alec Baldwin: How does Portlandia become a show? Who buys the show? Fred Armisen: It was the kind of a thing where I was just talking to my manager, what do you want to do next, what’s something you want to work on? I thought ThunderAnt. Let’s just turn it - see if we can turn it into something. Then Carrie and I just thought yeah, let’s just pitch it. Alec Baldwin: Was she ready for that? Did she want that? Alec Baldwin: She seems like somebody who lived in Portland, lived on the fringe, was very, very talented deliberately. Alec Baldwin: That she didn’t want to be mainstream successful. Alec Baldwin: Right. She does what she wants. Fred Armisen: She’s a perfect mix of like she just enjoys, you know, performing and isn’t like so crazy ambitious that she’s like, okay, what’s the next thing, what’s the next thing. She’s very like, let’s work on some projects. And a lot of it’s our friendship. We just like working together. And then we pitched it to Broadway Video, Andrew Singer, and then – so you know, Lorne and as a group we pitched it to IFC. They said go ahead and do a pilot, which we did and then next thing we knew we were doing the show. Alec Baldwin: And you shoot the show in Portland obviously. Alec Baldwin: What was it like to crew up a show there? Is there a lot of production up there? Fred Armisen: Yeah. I mean it was, it was incredible. I mean, we had – I didn’t have time to stop and think about wow, isn’t this cool. We just had to get a director, John Krisel. We had to get producers, line producers on board. So there’s a lot to do. And then we had to come up with the sketches too. Alec Baldwin: And where is the production facility? Fred Armisen: We just shoot on location. Alec Baldwin: On location. Where’s the production offices? In some defunct building? Alec Baldwin: What was it, like a missile factory? Alec Baldwin: Is the production office for the show. Fred Armisen: It was. It changed the second year. We just, you know, it’s – which I kind of liked – at first I didn’t like it but now I’ve grown to like it – is it just changes to whatever is the cheapest place to rent space. Fred Armisen: I think when things are permanent that’s a little – that’s kind of a scary thing ‘cause then you just assume too much. Alec Baldwin: Is there a lot of other production in Portland? I mean is there a lot of [Crosstalk] there. Alec Baldwin: So not a lot is shot there. Fred Armisen: Not a lot, not a lot. I think it’s nice that everyone’s employed, you know? Anything that brings employment to a city, it’s gotta be great. Alec Baldwin: When you go there, I’m assuming, to start the show, you’d never lived there before. Fred Armisen: No, but I’d gone there so much. Alec Baldwin: You had, ‘cause you’d spent so much time- So you knew what this Portland head was that you wanted to comment on. Fred Armisen: Oh yeah. I mean that’s what also got us to doing the show there. I mean like I would visit Carrie all the time to shoot ThunderAnt. For years I’d been going there. Alec Baldwin: And she’d lived there for how long? Forever. Fred Armisen: For a while. I think she’s originally from Washington State and then she moved to Portland, whatever, you know, 10 years ago or something. Alec Baldwin: Right. So what is your experience being in Portland? Do people say stuff to you while doing the show? They just love it. Fred Armisen: Oh yeah, yeah. They’re so nice about it. And I really like it there. You know, I’m a city guy. I’m from New York and I still love it there. It’s smaller, but it’s still – it’s still a city and clean and nice. It’s good food everywhere. 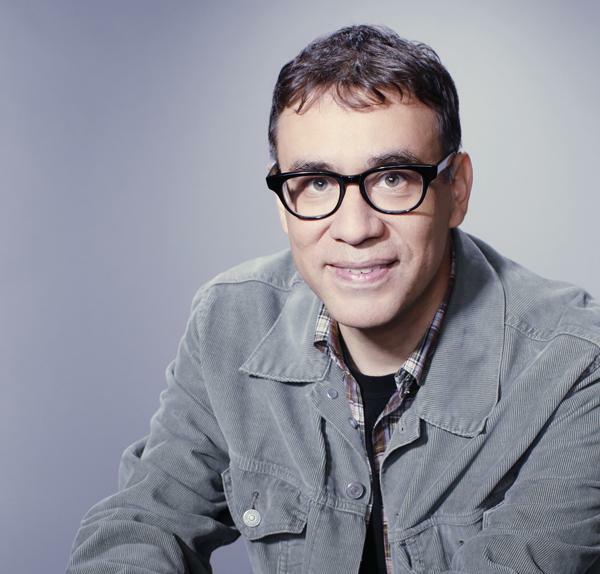 Fred Armisen: Really civil and just physically pretty and kind of overcast, which I really like. Alec Baldwin: Do you think when SNL is over you’ll stay in New York or you think Los Angeles is where you’re going to retire? Fred Armisen: I think I’m gonna try. I’m sure I’ll spend some time in L.A. and some time in Portland, but I mean I love it here. Alec Baldwin: Do you develop films now? Do you write films at all for yourself? Fred Armisen: I’ve started to. Fred Armisen: I’ve started to, yeah, yeah. I feel like when I try to write something for myself it always – it ends up in TV form, but still I want to try to expand that. Alec Baldwin: You would never do a TV series. Fred Armisen: I would do anything. Anything that seems interesting I would do. Anything that seems like something, you know, good to be part of. Alec Baldwin: So when you sign a contract, like with Broadway Video – for those people who don’t know this, that’s Lorne’s company, his production arm – and you have to deliver how many episodes? Alec Baldwin: You just do 10? Fred Armisen: First one was six, the second was 10. This one’s gonna be 10 also. Alec Baldwin: So this one’s gonna be 10. Fred Armisen: Ten is a lot. Alec Baldwin: That’s what I was gonna say because eventually you start again when? Fred Armisen: As soon as I’m done with SNL, yeah. Alec Baldwin: You’re gonna go right out to Portland with Carrie and start again and do 10 and that 10 will take you what, through the summer? Alec Baldwin: So you spend your whole summer working with Carrie and then you come back to SNL. Alec Baldwin: You have a little bit of a break. Fred Armisen: No. In fact it overlaps a little bit. In fact I might have to miss some – maybe a little bit of rehearsing when we come right back next year, because I think it’s gonna bleed into October a little bit. Alec Baldwin: What do you do for fun? Fred Armisen: I - I just work all the time. Alec Baldwin: All you do is work. Alec Baldwin: Because that’s what you wanted. Fred Armisen: Yeah. Today I’m gonna go into work and start writing. It’s work, but it’s still, you know, trying to think of things for the show. Alec Baldwin: What do you watch on TV? Fred Armisen: Lately, Game of Thrones. Alec Baldwin: You do? Why? Fred Armisen: I’m just – I’m very addicted to every story that’s going on in that show. It’s so well done. It’s so well done. And it’s a weird mix of like – it’s kind of historical, not historical. It’s – I mean I guess at this point it’s just fantasy, but like it’s just – it’s just so well done. I really, really love it. Downton Abbey’s really fun to watch. Alec Baldwin: Yeah, I have to watch that. I haven’t watched that. Fred Armisen: Girls is really great. That show - so many great things. Alec Baldwin: I always remember Favreau had that show Dinner for Five. Fred Armisen: I remember that, yeah. Fred Armisen: Yeah, that’s really good. Alec Baldwin: He taught me a big lesson. Alec Baldwin: Did you ever meet someone who was an idol of yours and you really had an amazing experience chatting with them? Fred Armisen: [Chuckles] He’s, you know, it’s even weird talking about it because I feel like I know him somewhat, but in the comedy world or in the entertainment world, he’s just like – the experience is greater than I ever thought it would be. Fred Armisen: Because I idolize him, and then on top of it, just the way he is. You know, that’s part of the thing, to see how people are as people. That’s another nice surprise. Alec Baldwin: Yeah, he’s a very sweet guy. Fred Armisen: He’s – yeah, yeah – and he loves art and – that’s like – yeah. Alec Baldwin: You seem very goal-oriented. You’ve had goals. Alec Baldwin: You wanted to be in the band, you did the band. You did that ‘til you were done; you put it down. You went to this. You’ve moved along. What else do you want to do? Alec Baldwin: Do you think being famous has killed that opportunity for you personally? Alec Baldwin: So you’d have to get someone else to do it. You’d have to write and produce that. Alec Baldwin: Because you couldn’t do that. Alec Baldwin: Do you find that? Do you find that when you walk up to people, automatically – like someone once said something to me. They said to me, 'You’re at a wonderful place, which is also a terrible place.' That place where people are gonna laugh at you whether you’re funny or not. And he meant it as a dig. Alec Baldwin: Do you find that’s true with you, that wherever you go, people are predisposed to you saying something? Alec Baldwin: What about in your personal life? How has your personal life changed as a result of being famous? Fred Armisen: It’s everything I ever wanted, but there are some things about it that are just very new and just very interesting. You know, like I love New York. I love riding on the subway. My subway rides aren’t as private as they used to be. That’s when I start trying to think of ideas. I listen to music. And that’s just different now. Alec Baldwin: And people say things to you. Fred Armisen: Yeah. Perfectly nice. Perfectly nice. I would have done the same had I met whoever. But that’s changed, like a different kind of subway ride. Alec Baldwin: What about your relationship with your family, your friends? I mean, do you still have the same friends? Fred Armisen: Yeah, kind of, but I’ve you know gotten new friends, obviously. Alec Baldwin: New circles of friends come with each ladder you go up. Alec Baldwin: He’s in L.A. though, right? Fred Armisen: Yeah, we just text each other and yeah. So I do maintain relationships. Even if we’re both busy, Paul F. Tompkins, whomever, I still try to keep those alive. Alec Baldwin: This is the last thing I want to say to you. Fred Armisen: You can say a million things to me. Alec Baldwin: No, but I’m saying without getting too personal, you’ve been married twice. Alec Baldwin: Do you find – you were married twice, correct? Fred Armisen: That’s correct. And the first one was in Chicago before I was doing comedy and that’s someone who I’m still friends with, Sally. Alec Baldwin: Right. That was during the music days. Alec Baldwin: The Keith Moon days. Alec Baldwin: And then you were married the second time. Alec Baldwin: But would you say that – like from things I’ve read, you find that because of what you crave and what you love, you speak very lovingly about Carrie and how you and she are just friends, but she’s like your, you know, she’s your like last text of the day. Alec Baldwin: Do you think that she’s kind of your soul mate? Fred Armisen: Without a doubt. It’s all of the things that I’ve ever wanted, you know, aside from like the physical stuff, but the intimacy that I have with her is like no other. Like it’s something that – and it’s only – it took me awhile to realize and I’m like wait a minute. I am super, super close with her. I mean we work all day together on Portlandia and then we hang out afterwards. I mean, what is that? Alec Baldwin: Because people don’t understand in this business how important that is. Liked o you have to be – it depends on who the person is. Alec Baldwin: Not that competitive. Alec Baldwin: The comedy world is very competitive, isn’t it? Fred Armisen: I guess. I haven’t walked into that too much. I wasn’t part of a comedy troupe or anything, and so – and the standups I’ve become friends with have all been very, you know, supportive. Definitely. Alec Baldwin: Depending on the outcome of the election you can expect to see more of Fred Armisen on SNL next season as Barack Obama, but definitely more of Prince. Portlandia is entering its third season on IFC. [To Fred] Can I play a customer on Portlandia? Can I come to a restaurant? Alec Baldwin: Who would I play? What would I order? Fred Armisen: I think you would come from Southern California and you’d order all kinds of meats; a meat aficionado. People think of it as a veggie place, but it’s actually a very meaty place. They’re very into - yeah, it’s very like cured meats and sausages, but we haven’t explored that that much. Alec Baldwin: Maybe I could be a meat salesman. Fred Armisen: Yeah, even better. Alec Baldwin: Maybe I could be a meat salesman with all kinds of charts and graphs of the loins and the sections of the pig and the cow and the organs. Alec Baldwin: I’ll come see you in Portland. Alec Baldwin: This is Alec Baldwin. 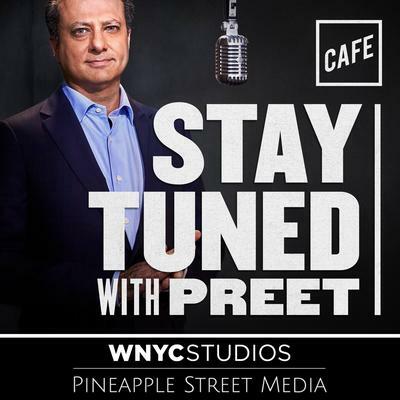 Here’s The Thing comes from WNYC Radio.